I didn’t belong to Block Lotto when I made these but they are Block Lotto blocks. 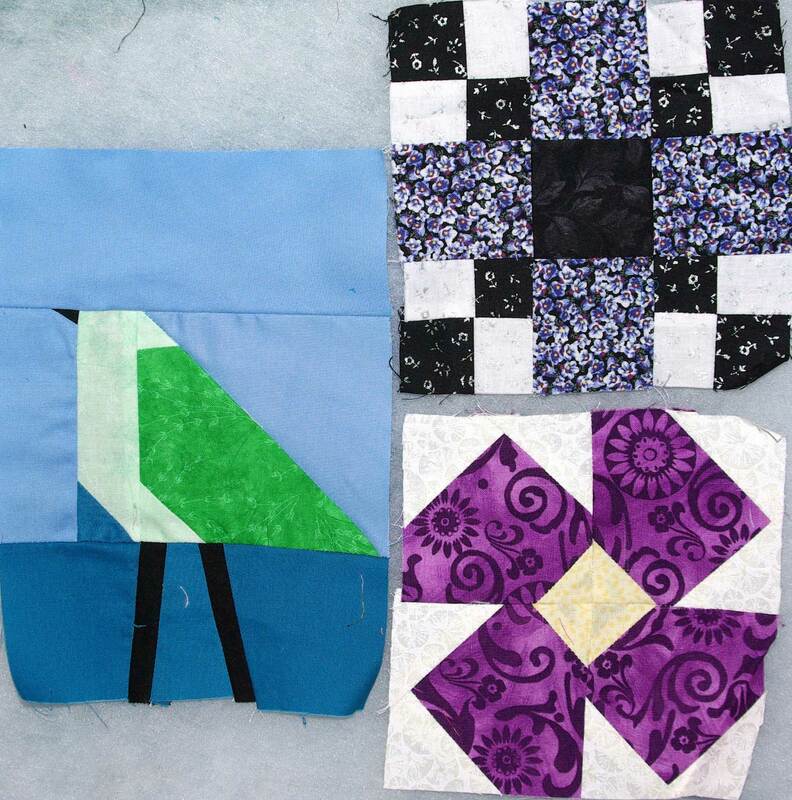 I tested bird block construction from scraps and didn’t have enough of the same blue background fabric in my scraps so the bottom blue and blue triangle below bird’s breast are the same color and it looks rather weird. But construction worked out okay and I went on to make a flock of birds. 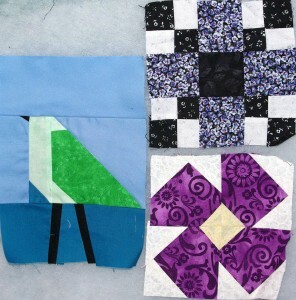 Thrifty block is an orphan – 1 left over from the recent Nifty Thrifty quilt I made. Violet block – I think the middle yellow was cut bigger that it was supposed to be cut when I made it for a swap last year. I also used a few of those on the back of that recent Thrifty Nifty.